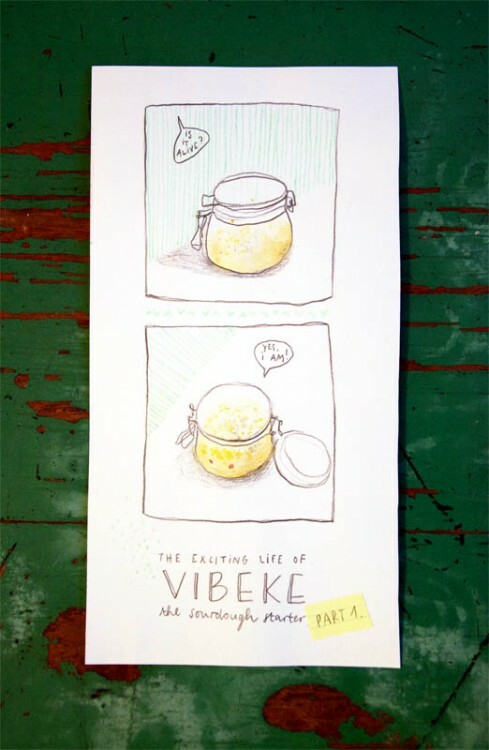 these days, i am constantly watching vibeke. apart from the funniest norwegian name i know, she is also our sourdough starter. my attempt n° 5094183 (actually, number 4) to start a sourdough. and that’s not that easy in this small apartment. this time, she is alive! maybe she will even turn into bread already tomorrow.